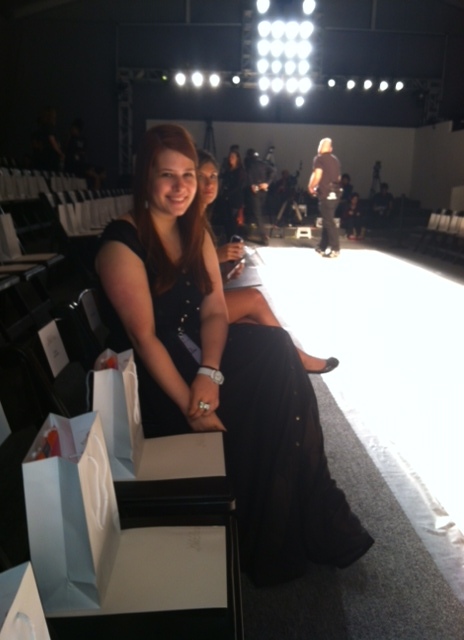 Chelsea worked first at Krupp Group where she was a Fashion PR Intern. While she was there, she worked with seven to ten designers. Her second co-op was at PR Consulting where she held the position of an accessories PR intern. She worked with six designers ranging from shoes to jewelry. Both of these co-ops were full time and she worked through the full cycle for both co-ops. What were the major roles you were in charge off? At both co-ops, my major job was sample trafficking. I had to write down where every item went and return it when it came back. I was the person who sent samples to photo shoots or celebrities. This responsibility meant pulling items that I saw fit. I, also, was responsible for daily projects such as organizing the closet, making monthly reports of all the press we received that month, and clipping that press in Photoshop. During Fashion Week, I played a role in making sure that invitations were sent out, making the seating charts and directing guests. How did you become interested in the companies you worked for? I found Krupp Group on the myNEU COOL database and fell in love once I did my interview. They don’t really believe interns should be running around the city, which I appreciated, and they encouraged us to explore our interests. Even though I was a fashion intern, I dabbled in accessories and jewelry while I was there. While I was at Krupp Group, I heard about PR Consulting because of their great reputation and clientele. I was determined to intern there next. What are the key things you learned that you wish you had known from the beginning? The main lesson I learned was prioritizing. It’s easy to want to do everything at once, but it’s important to learn what needs to be done first. Organizing the closest isn’t as important as packing up shoes for a shoot. I learned that it is more important to pack up something being picked up in the next 15 minutes as opposed to an hour. Don’t be afraid to ask. They appreciate it! Everything in PR is urgent, but it’s learning to distinguish between the urgencies. Showing you know how to prioritize and the level of its importance helps you stand out. If there was one piece of advice that you could give to someone applying to this position, what would it be? Have enthusiasm and take initiative! Those are the two most important skills you can have. No one really wants to be an intern packing up shoes and sometimes running around the city, but always act as if it is the greatest job ever. You are honored to carry that 20 lb. FedEx box 20 blocks! If people see that you are happy to doing the not so glamorous task, then they will be more open in trusting you with more hard, resume-building work. Everybody starts off somewhere. Also, take initiative! If you are having a slow day, don’t sit there and read a magazine! Merchandise and organize the closet, ask if another team needs help — just always keep yourself busy! How did this co-op effect what you want to do later on in life? These co-ops just reaffirmed what I want to do. I have always known I wanted to do PR and fashion was the cherry on top. Sometimes it seems silly, but I look at it as helping someone’s vision come to life. The pants may cost $15,000, but visually, in a magazine, they can really impact someone’s life and creativity.